Fibromyalgia is one of the most frustrating, and painful, medical issues to deal with, and it’s complicated by the fact that little is known about the condition. Thankfully, rheumatologists like Tony Makhlouf, MD, FACR, at Arthritis and Rheumatology Center are beginning to gain the upper hand on fibromyalgia with innovative treatments that bring relief. If you’re in Simi Valley, California, or the surrounding area, and you suffer from fibromyalgia, call to explore your treatment options. Or, schedule an appointment online using the easy scheduler tool. It’s a disorder that causes indiscriminate musculoskeletal pain. It’s believed that fibromyalgia affects the way your brain processes pain. Women are far more likely to have fibromyalgia (75-90% of sufferers). The good news is that studies are ongoing and medical researchers are finding effective ways to deal with the symptoms. As well, people with osteoporosis, rheumatoid arthritis, and lupus, may be more prone to developing fibromyalgia. In the past, doctors used an 18-point test to check for tenderness, but this method proved unreliable. Now, the only criteria is whether you’ve suffered unexplained, widespread pain for three months are more. 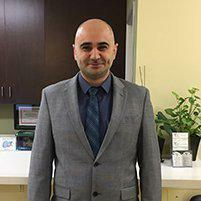 Ultimately, diagnosing fibromyalgia requires a knowledgeable rheumatologist like Dr. Makhlouf who’s trained to recognize the disorder. There are no blood tests that can confirm the presence of fibromyalgia. So, Dr. Makhlouf takes your symptoms, accompanying conditions, and medical history into consideration in order to make a diagnosis and get you started on a treatment plan. Dr. Makhlouf’s primary goal in treating your fibromyalgia is to relieve your pain and restore your quality of life. All too often, fibromyalgia sufferers simply grit their teeth, curb their activities, and deal with the pain as best they can. Dr. Makhlouf works to put an end to your suffering and get you back to doing what you enjoy most. And he works exhaustively until a solution is found. Don’t suffer the effects of fibromyalgia longer than you have to. Call Arthritis and Rheumatology Center to make an appointment, or use the online scheduling tool to book a consultation.